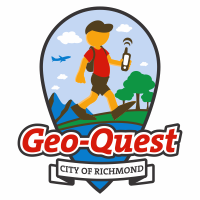 The BCGA is hosting a Geocaching Extravaganza on September 13th, 2015, from 11am to 4pm, at the Nature House, Richmond, in conjunction with the City of Richmond. 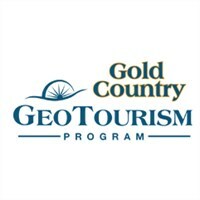 This event will introduce Geocaching to the general public and have workshops for more experience cachers. We will be publishing a cache page for this event shortly. Do you have great ideas about hiding caches and camouflaging containers? Are you a technical geek? Are earthcaches your thing? Perhaps you could talk to a small group about this a couple of times in the day! To meet & greet visitors. One of the easiest roles! Just chat to people as they arrive and direct them indoors or outdoors to the various displays. You will also have leaflets to hand out. Indoors we will have a couple of table displays about geocaching and the BCGA. For this role, you will chat to mostly muggles as they visit our stalls. There will also be vendors close by! To take them in small groups to find caches. Hopefully, if the fire hazard is over and the trails are open, we will take small groups to find some new caches that we hide just for the day. Also, there are caches in the park that we can take muggles to. We will use our BCGA GPSrs for this. Do you think you could have fun seeing the surprise on their faces? With your help we will make this a day to remember for many! If you’re in the Lower Mainland, and you have the time to give on September 13th between 11am and 4pm, I would love to have you join us! Please contact me at [email protected] if you can help in any way, or have any ideas you think will make the day a success.